You only in Phuket for a short time? You want to learn diving? If you cannot complete your Open water Diver course, then the Scuba Diver course is a good option. 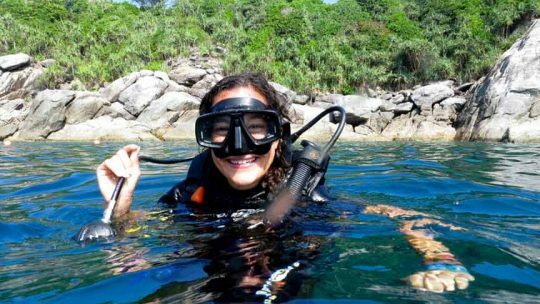 The Scuba Diver course is the first step to scuba diving certification, it covers half of the Open Water Diver course, and suit people who cannot swim well or who have a short time to dedicate to the course and want to learn diving. Basically, anyone in good health and with basic water skills can obtain the certification Open Water Diver. If you have a kid between 10 to 14 year old there is a program for him with the Junior Open Water Diver. During the Scuba Diver course, you will learn the basics of scuba diving. The course takes 2 days. Complete a theory session that covers 3 chapters first chapter of the Open Water Diver Manual. Practice diving skills in a Swimming pool to gain confidence and get used to the equipment. Complete and log 2 Dives in open water (sea). 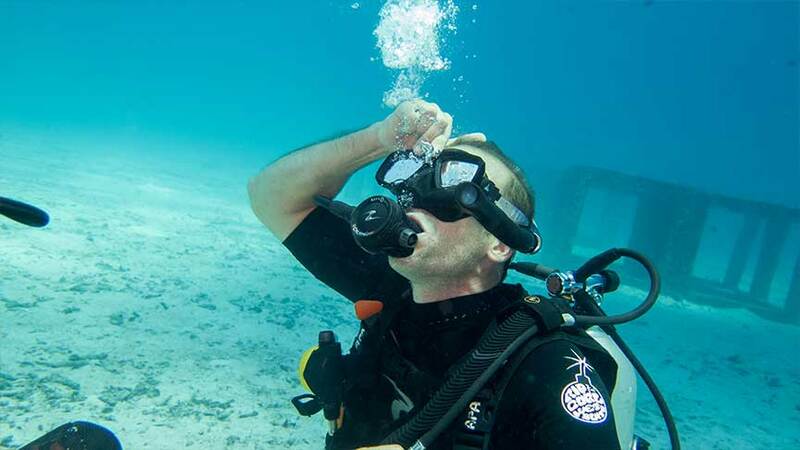 Why Doing a Scuba Diver Course? You have only 2 days and you like to get your diving certifiction, the Scuba Diver course is for you. As a certified Scuba Diver, you will be able to dive under the supervision of a Divemaster or instructor at a maximum depth of 12m. You can easly continu your education and complete the Open Water Diver course whenever you have more time. 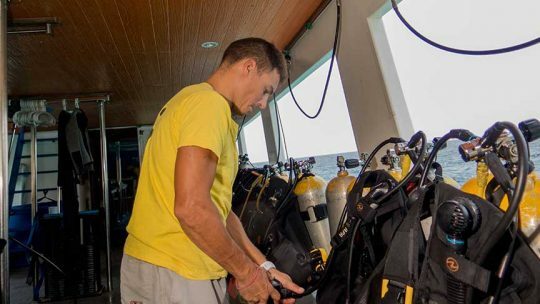 Dive under the supervision of a Divemaster or instructor down to 12 meters max, and apply the technics you have learned during the course. Continue your education and enroll the Open Water Diver.